Many smokers have turned to e-cigarettes in recent years, often with the hope that the product will be safer than traditional cigarettes. However, the research is far from clear and e-cigarettes are far from harmless. Aside from the danger to the person using them, a recent study notes the rising numbers of children being poisoned by the liquid nicotine used in e-cigarettes. As a San Francisco dangerous products lawyer, Greg Brod is watching the e-cigarette poisoning story and ready to help Californians whenever unduly dangerous products put people, especially children, at risk. 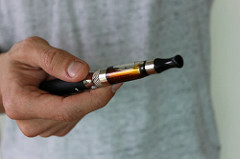 E-cigarettes are, according to the U.S. Food and Drug Administration (“FDA”), one of several forms of Electronic Nicotine Systems. Vaporizers and vape pens are closely related. These devices heat a liquid containing nicotine is heated into an aerosol form that is then inhaled by the user. The liquids often contain flavorings and a range of other ingredients as well. E-cigarette use has skyrocketed in the past few years, especially among teens. This week, CNN reported on a research study published in the journal Pediatrics that found a nearly 1,500% increase in the number of children under age 6 poisoned by e-cigarette nicotine from 2013 to 2015. In January 2012, there were 14 reported cases, a number that jumped to 223 in April 2015. Greater than 90% of the reported cases of e-cigarette nicotine poisoning in young children involved kids swallowing “e-juice” another name for the nicotine- laced liquid smoked inside e-cigarettes. CNN spoke to one of the study’s authors who said poison control centers receive a call about once every three hours (or seven times each day) involving young children and e-cigarettes or other liquid nicotine products. The danger has risen sharply as the use of e-cigarettes has skyrocketed. Notably, while there were more calls regarding exposure to traditional cigarettes, the outcomes of calls regarding e-cigarette exposure were significantly more serious. Children exposed to e-cigarettes were, per the study, 5.2 times more likely to require admission to a health care facility and 2.6 times more likely to suffer a severe reaction than children exposed to traditional cigarettes. This is likely because the liquid nicotine is both highly concentrated and easily absorbed by the body. There is, as one might expect, debate about the danger e-cigarettes pose to children. An industry spokesperson told CNN that irresponsible adults leaving products in places accessible to children are the primary culprits. However, the research study’s author disagrees stating: “The best parent in the world cannot watch their child every second. Rather, this is another example of a highly dangerous product being introduced into the places where young children live and play without adequate regard for child safety.” Some critics of e-cigarettes point to the tempting flavors and colors of the nicotine bottles as a major concern. According to CNN, the FDA has opted to extend its authority over e-cigarettes, like other tobacco products, but declined to limit flavors at this time. Certain products will carry some level of risk. For example, any matchbook or lighter can start a deadly fire. However, this reality is not an excuse for companies to put profits over safety. Companies and individuals can and should be held accountable if they release products without adequate warnings or make products that are more dangerous than reasonably necessary. If your child has been injured because of an e-cigarette, call our San Francisco e-cigarette injury lawyer to learn more. Attorney Greg Brod has significant experience representing the victims of dangerous products in Northern California and may be able to help you obtain compensation and justice.